Sendo was founded in Birmingham in the UK in 1998, and although it’s main market was indeed cheap prepay mobiles, they were a bit more sophisticated than its rivals. Instead of just hawking a device around carriers, they offered a customisable platform so that carriers could essentially design their own phone. Somewhere along the way this flexible approach caught the attention of Microsoft who were looking at developing their own mobile phone platform. ..so the Z100 looked like a candy-bar phone with a larger-than-normal screen, but underneath it was running a version of Windows CE that had been adapted (not very well) for phone use. It had taken Sendo some time to get the phone ready for product but just before launch it was cancelled, in November 2002. Bitter recriminations then took place between Sendo and Microsoft, with Microsoft claiming that Sendo was insolvent and Sendo accusing Microsoft of stealing its intellectual property and handing it to HTC (who in turn created the Orange SPV). This particular fight went on for years with Microsoft eventually making an out-of-court settlement. Needless to say, Sendo abandoned the idea of launching a Windows phone but were still keen on the smartphone idea in general, so they set about building one using the Symbian operating system instead. Sendo X: better than a Nokia? 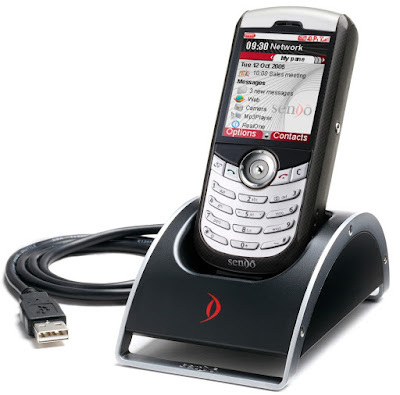 Launched in October 2003 – almost a year after the cancellation of the Z100 – Sendo launched the tersely-named “X”. A 2G-only smartphone, it had a 2.2” 170 x 220 pixel display and a traditional numeric keypad. Inside it ran Symbian S60 and it had support for email, web browsing plus of course you could add compatible Symbian applications as you went along. The problem was that Sendo were competing directly against Nokia, and although the X was arguably better that Nokia’s contemporary offerings it turned out that most people would sooner stick with Nokia. Still, the Sendo X was a niche success and it encourage Sendo to come up with an improved model, the Sendo X2. The X2 was due for launch in 2005, but Sendo’s financial woes caught up with it again and in the summer of 2005 the company folded. There was a ray of light though when Motorola acquired Sendo’s R&D, and the fruits of this deal led to Motorola’s RIZR range. Sadly Motorola ended up with problems of its own, and within a few years their attempts at making a success of Symbian faded too. Had things worked out differently, perhaps Sendo would have been in the role that HTC found itself in during the noughties, and have become a true pioneer in shaping the future mobile industry. But it wasn’t to be. These days the Sendo X is a very rare find, but not terribly expensive.